Just as the great sleuth, Sherlock Holmes detected the truth in the evidence he saw, anyone can become a grammar detective and deduce what is the correct way to write. Become your own grammar detective, by learning the basics of the English language and the structure of sentences. Use the mnemonics or memory aids to help you. 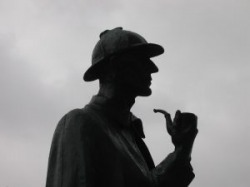 Picture of Sherlock Holmes used by common license. My thanks to thoroe of Stock exchange for the photo of the statue of the great detective. Do you have questions about English grammar? This is a site dedicated to making grammar both easy and fun. Navigate through the aspects of sentence construction as well as elements, such as parts of speech and punctuation. Come back as more is being added. 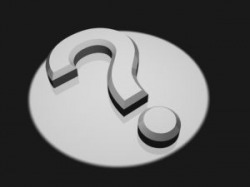 Leave a comment or a question, if you need answers that are not already included. I have an Honours B.A. in English and a Masters Degree. My editing experience began in high school as Editor-in-Chief of the school newspaper. In college, I continued, first as a reporter, then as Editor-in-Chief. Now, as a retired military officer, I have over thirty years experience in writing and editing. Reading blogs, forums and published works, I have found errors in grammar. Some are typographical mistakes, but some reflect the writer's lack of knowledge. Grammar can be confusing and boring, but it doesn't have to be. When I visited grammar sites to see what was available I found they gave examples, but didn't tell people how to remember what was what. I developed this site to provide mnemonics, or memory aids, to help people detect what to use and when to use it. I hope you enjoy becoming a grammar detective of your own.